Dr. Damon Tallcouch N.M.D is a licensed Naturopathic Physician in the state of Arizona, with a focus on resolving body pain naturally, improving low energy, digestive health and chronic disease. 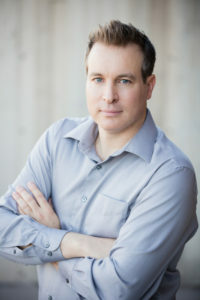 Dr. Damon earned his undergraduate degree at the University of Arizona and received his naturopathic medical degree from Southwest College of Naturopathic Medicine (SCNM) and Health Sciences with high honors. He has additional training and/or certification in Prolotherapy, Ozone/Oxygen therapies, Joint Regeneration techniques, Platelet Rich Plasma (PRP), Energy medicine (Laser/Light/Magnetic), and Emotional Clearing techniques. Dr. Damon realizes that we live in a world where so many factors contribute to a person’s current state of health. Just a few of the factors Dr. Damon considers include nutrient deficiencies, environmental toxins, impaired digestion, low oxygenation of cells, constant exposures to unhealthy electrical, magnetic, and radiation (EMF) sources, the inability to properly manage emotional stress, suboptimal sleep, and past emotional trauma(s). Through analysis of these many factors, Dr. Damon is skillfully able to take complex medical issues and implement easy to follow treatment plans and recommendations that positively impact his patient’s quality of life. Dr. Damon also has over a decade of Investor Relations experience working with publicly traded companies in fields such as Nanotechnology, Laser therapies, Intravenous/Oral Nutrition, Oxygen/Energetic therapies and Human Tissue and Blood Platelet Preservation techniques. This experience, in conjunction with his formal medical education and training, has provided a wealth of knowledge and understanding to guide him in providing the highest quality care. If you would like to reduce or eliminate pain quickly, while stimulating your body’s natural abilities to heal and regenerate, please contact our office today.